In a new city or just looking for the opportunity to meet new people? Bumble BFF is the place where you can meet your new best friend, partner in crime, wing woman, workout partner, or anything else that strikes your fancy! When asked "So who do you want to find first?" choose New friends. Your profile will NOT be shown on the dating side of Bumble after you’ve selected BFF. Bumble users were requesting the ability to keep the app when they were in a relationship, because they had found friends on the app. They were already entering their same gender into the “show me” settings to try to find friends. We often heard requests for a friend-finding feature from users who were new to new cities or on vacations. Lastly, we were incredibly excited about creating BFF because it lessens the limitations of the app, and this expansion of use reflects the brand more accurately as an all-compassing component to the people’s communication and lifestyle. Once BFF is selected, you’re shown all other people of the same gender who are also looking for BFFs. 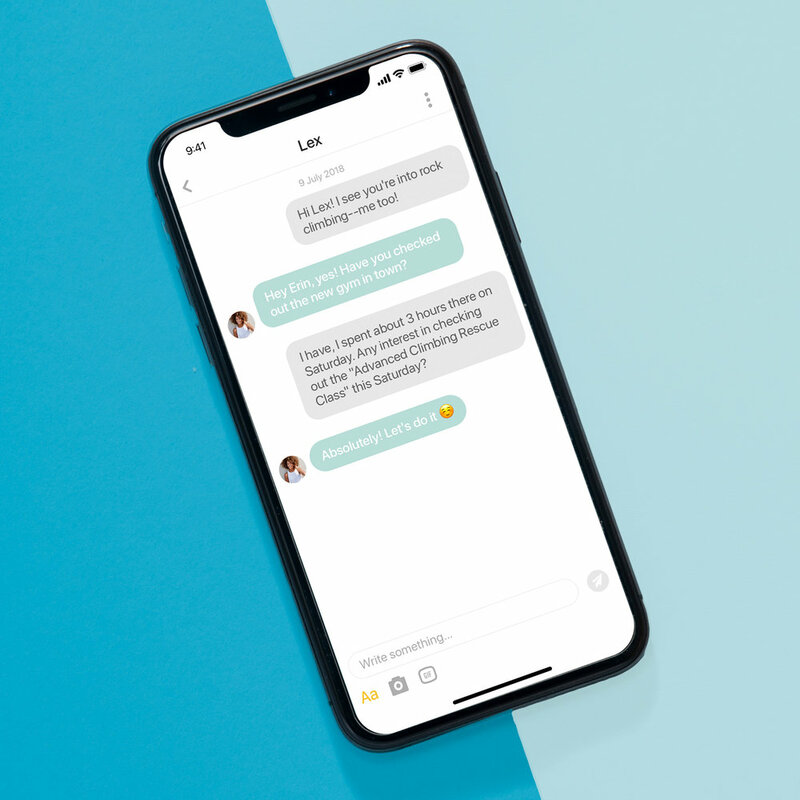 All BFF communications are marked with our new callout mint color from matching screen, to expiring queue, to conversation list and conversation bubbles. We are incredibly excited about the ability to help people find anyone from a new BFF to a best man.